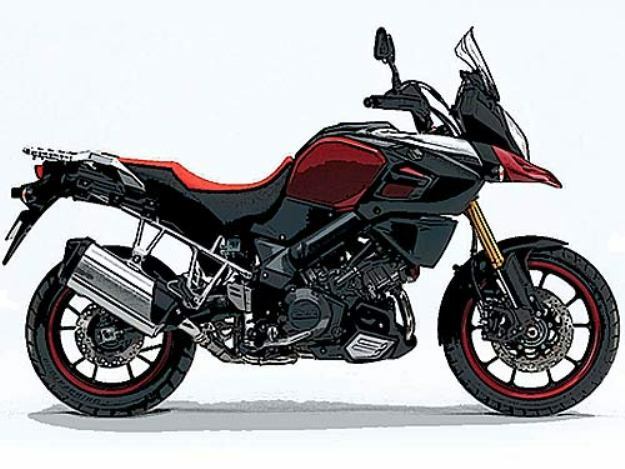 Motorcycle News 2014 What to expect from the future Suzuki DL 1000 V-Strom? In 2014, the family of big road trails will expand with the arrival of the new Suzuki DL1000 V-Strom. Unveiled at the concept stage, this bike has the heavy range Suzuki dominate the trail for years to come, in a segment of the fight. Between 2002 and 2008 in France (2012 for certain markets), Suzuki DL1000 V-Strom first generation satisfied with the thousands of users. The 121 maxitesteurs who give their opinion on Suzuki DL1000 V-Strom very often greet the brilliance of the engine, the lightness and the facility of this more impressive motorcycle “in static’s than once on the way”. With mileage prove that reliability is the watchword, even if some clutches and other distribution chain tension less have experienced small concerns. The main complaints relate to braking, judged too just with regard to performance, or the engine bashing at very low revs. But in the end, the Suzuki DL1000 V-Strom is globally appreciated its owners. If the last vintages have been poor in what’s new at Suzuki, the year 2014 announces the return of the constructor of Hamamatsu on the niche of the big road trail. After the DL1000 concept, unveiled at the Cologne show in October 2012, a mini website it is since dedicated, with updates showing the progress of the project. 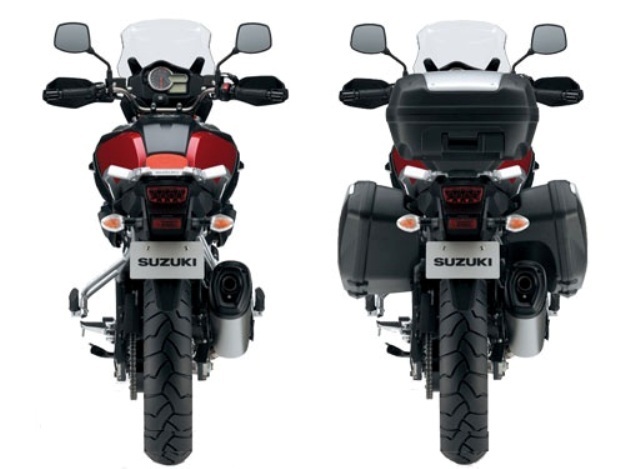 The project leader, Tomohisa Ichimaru, is expressed and stated that future Suzuki DL1000 V-Strom 2014 would be the continuity of the Suzuki DL 650 V-Strom unveiled in 2012, with a more upscale orientation, but always a willingness to offer a powerful heavy-duty, fun but comfortable. For this, Suzuki engineers have taken the engine from the old DL 1000, itself derived from the line of TL 1000 S and R in the late 90s, which is really an upgrade. The reuse of this twin implies the use of a final chain drive, economical to develop and produce a gimbals shaft. However, Suzuki had profoundly modified its engine with many internal changes. What are the results? Improved engine response at low and mid range and better acceleration, according Ichimaru… Hopefully Suzuki has also reworked the flexibility and chose to keep the overdrive sixth typed report that seems to be appreciated at all stages of highway. At this stage, one can easily imagine that performance will be at the venue even if the category already contains some ‘rockets’, as the high-powered Ducati Multistrada 1200 and its 150 HP in free version. 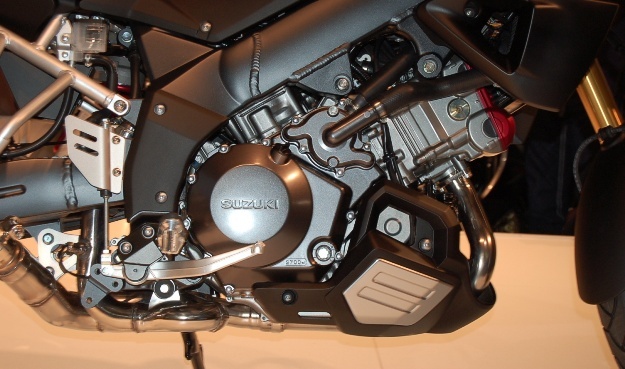 From this perspective, we understand why Suzuki chose to remain faithful to the framework dual beam aluminum, as well as the latest methods of production (including casting) is a guarantee of consistency of manufacture and weight limit. Ergonomics, the arcade in the crotch was cared for, so average templates find their account, but nothing indicates the presence of a saddle with variable height. Similarly, it is hoped that Suzuki will have thought of an adjustable bubble, while driving if possible, as the last BMW R1200GS liquid 2013. Suzuki also announces considered gives luggage early in the project. The desire was to minimize the lateral size of suitcases, which feels entirely on visual prototype, even decrease the volume of the right suitcase, exhaust side, which certainly can not accommodate full-face helmet. Everything will depend on the price… and the look! 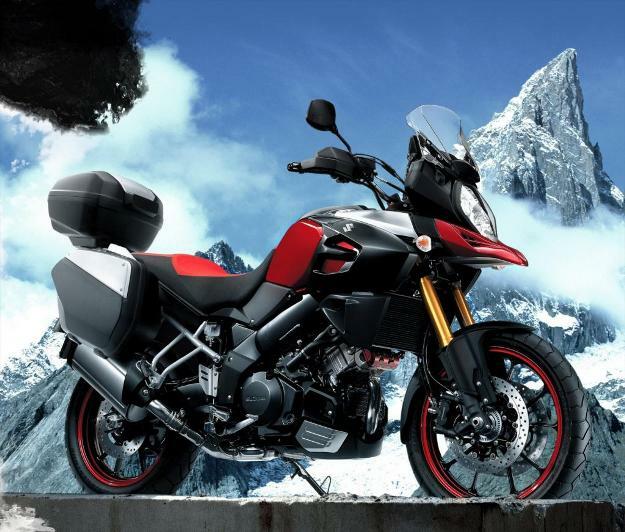 For Suzuki, the challenges are important: the Suzuki DL1000 V-Strom will carry the cap of window of the range 2014, at least. It will inaugurate new technologies: doubtless a wrinkle by wire together with a control of traction, which will arrive thereafter on the GSX-R 1000. In addition, it will arrive on an already busy niche. 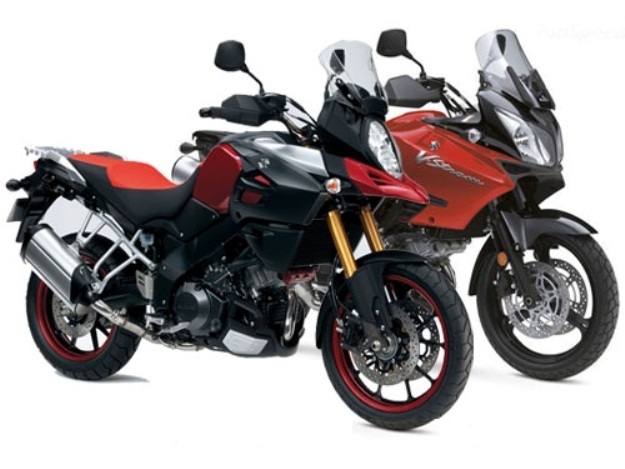 Include the Kawasaki 1000 Versys, Aprilia Caponord 1200, KTM 1190 Adventure, Yamaha XT 1200 Z Super Tenere, not to mention competitors more upscale with the BMW R1200GS, the Honda VFR 1200 X Crosstourer or Triumph Tiger 1200 Explorer. Suzuki will have to thus exploit tight the famous price ratio/services which made the hours of glory of the brand. For the moment, it also seems that the look of the concept Suzuki DL1000 V-Strom did not fill with enthusiasm crowd. One can imagine that Suzuki had time to polish its design and a choice of more harmonious colors, while preserving the famous duck nozzle inspired by DR. 750, true initiator of this appendix practically impossible to circumvent. Following Milan!